Camping with two kids aged 1 and 2 1/2 is extremely fun and rewarding. That being said it is also chaotic. If you want to know what a morning camping is like check out a post I wrote for Vanlife Diaries here. In order to ease the chaos of camping with kids we found the following tips to be extremely helpful. 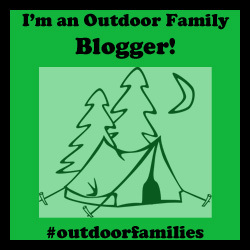 Make sure to leave a comment at the end and let us know camping tips that have helped your family enjoy being outdoors. Happy Camping! Organize the kid’s outfits with shirt, pants, underwear and socks all together. Then place 1-2 elastic bands around the clothing so it stays together. If possible do this for every day you are away. If your kids are older they can help pick out the outfits and put the elastic bands around the clothes. My husband absolutely loved grabbing a ball of clothes and being able to change the girls without having to think about what they would wear or search for clothes. Before you go on your trip make a meal before you go and freeze it. Not only is there a ready made healthy meal for camping but also an extra ‘ice pack’. Can I get a WOOT WOOT. We made pasta sauce with lots of yummy vegetables. With two little kids it was nice that we just had to heat up the sauce, make some noodles and EAT! We had a great meal that everyone enjoyed. Tip: Make sure whatever you make beforehand that it is something that can be heated up on the stove or fire while camping. Organize your camping gear into bins. Before we had kids we had all of our camping gear in one bin. We would go through that bin and take whatever we needed out for camping. Oftentimes we would just take the whole bin with us. It made it really easy to go camping weekly. Now that we have kids we do have a little bit more stuff but having bins is such a necessity. We take what we need from our organized bins and put it into a single bin when we head out camping. Also a friend suggested using the bin as a bathtub to bath a smaller baby. What a great idea! Similar to the bin idea we used bags to organize smaller items that we wanted accessible. We had one bag for the kids stuffies, books and a few toys for the road. We had another bag for our swimming gear which included sunscreen, hats, swimsuits, towels and the kids pales and shovels. These bags made our life a lot easier. Any beach day we knew exactly which bag to bring. Kids started screaming for a husky dog stuffy? Instead of losing our minds we knew exactly where to find him. Do you have any camping tips? Comment below and share your camping hack! I started packing clothes in outfits on a trip to Victoria and have never looked back. I did it for myself too. No brainer on busy mornings! I also pack a little first aid kit in a water proof bag and keep it handy in the back of the car. Oh! And we switched to cots instead of air mattress or sleeping on the ground. Even a 1 year old can use them. Regalo brand for kids. They are so light and easy my 2 year old set it up himself…good sleeps and compact. Great Tips! Thanks so much for your comment.